The days are getting shorter and the weather is starting to turn, but that doesn’t mean gardening season is over… far from it! And we’re not talking about raking leaves. BC is home to a number of weather climates and gardening zones but, for the most part, snow holds off until November with early frost starting in October. This means there’s opportunity for late blooms and fall colour in your garden. 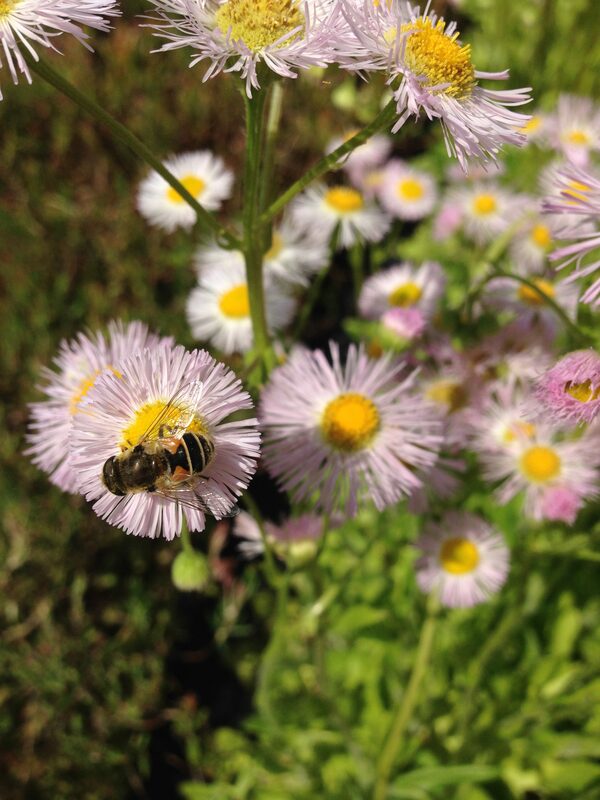 More importantly bees need late fall blooms as they prepare for winter. Earlier this year, Master Gardener Brian Minter told PlantSomething Bee Friendly that bees are active in temperatures 10°C and above making fall blooms necessary well into October. Some people think that bees start to get dopey later in the season; however, native and honey bees are busy getting ready for winter. Some species of native bees overwinter and require pollen and nectar well into October. Although if you see bees dying at this time of year – there’s no reason to raise alarm. Some species of wild bees rely on the queen to overwinter while the rest of the colony lives for one season. Alternatively, honey bees drones (male bees) have one role –> to mate with the queen. The drones are forced to stay out of the hive after this task is done, ending their life come frost (sorry boys!). Even though bees are starting to dying at this time of year, this doesn’t make bees more likely to sting. Bees, by nature, are docile and only attack you if they feel threatened or attacked. Many garden centre workers and beekeepers work around bees for years without being stung – staying calm and working with gentle movements around bees is key! When we spoke with Brian Minter, he told us the most important way a gardener can help support bees is to create a year round bee habitat. 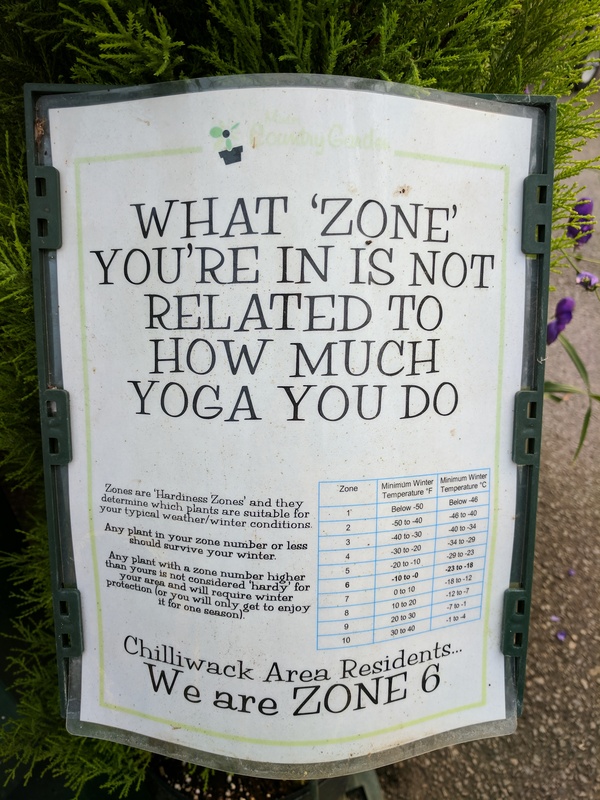 So what does that mean and how can one create a year round habitat in their garden? • Transition containers to fall and winter. • Start planning your spring bulbs. Thanksgiving is the best time to plant bulbs say the garden centre experts at Art Knapp Kelowna. • Choose ornamental kale. Bees drink the rain water that beads on kale and help prevent bees from drowning. • Don’t prune until spring, otherwise you risk losing out on late blooms – which are important for bees! • Start caring of your mason bee houses. To help prevent mites or parasites, the tubes need to be opened, cleaned and the cocoons placed in the fridge for the spring. • Water well into fall. • Mulch at the end of October-ish (this could be different for everyone, mulching depends on your weather). • Tie up evergreens to avoid snow fall. • Don’t clean up the leaves in the fall – leaving them on the ground naturally mulches the garden and protects plants through winter. • Don’t trim ornamental grasses in the fall, leave until spring. This will act as natural insulation. • Collect and dry seeds for next year’s garden. • Give one last deep-watering before frost. Plants use a lot of water in the winter, more than you think! • Mahonia Winter Sun is a great plant to include to help hummingbirds who overwinter on the coast. • Rose of Sharon, aka Hibiscus, is a wonderful bee friendly plant that blooms into October. • Pink Dawn Viburnum is another great flower for the fall, winter, and spring – depending on how cold your winter is. • Asters and winter pansies are great for the late gardening season. 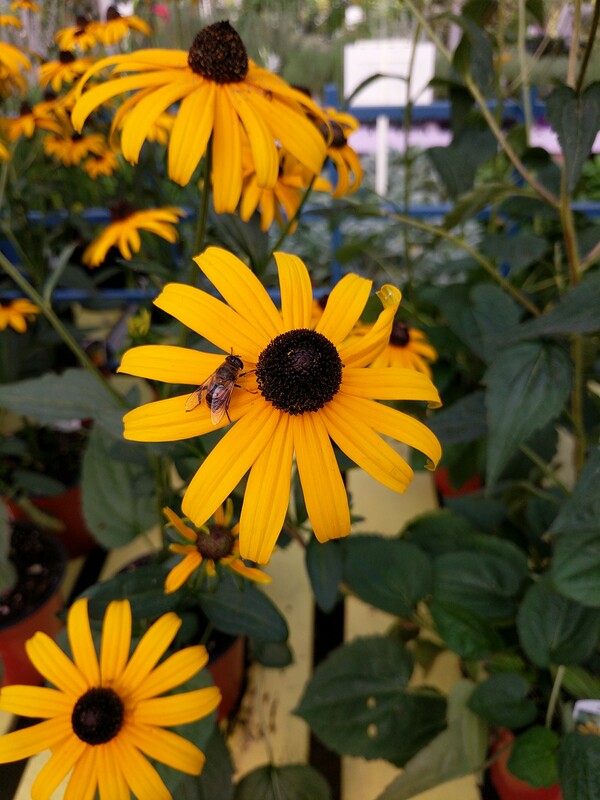 • Other great fall plants are rudbeckia, lavender, sedums, bug vanes, goldenrod. Gardening for bees is a year-long project – so be observant. Watch to see which insects are in your garden and which plants attract bees. Mark the time of year and the type of bee that is attracted to a specific plant. 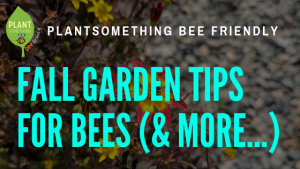 Being aware of what’s in your garden will help you create the perfect bee garden for your community. Also, leave some ground bare so the native bees can find new nesting spot. And don’t forget about the hummingbirds! These feisty birds are important pollinators and if you live along the BC coastline you might notice Anna’s Hummingbirds overwintering. Planting a garden that blooms year-round will help provide foraging materials for the birds that stay in town. Finally, be proud of your bee garden! 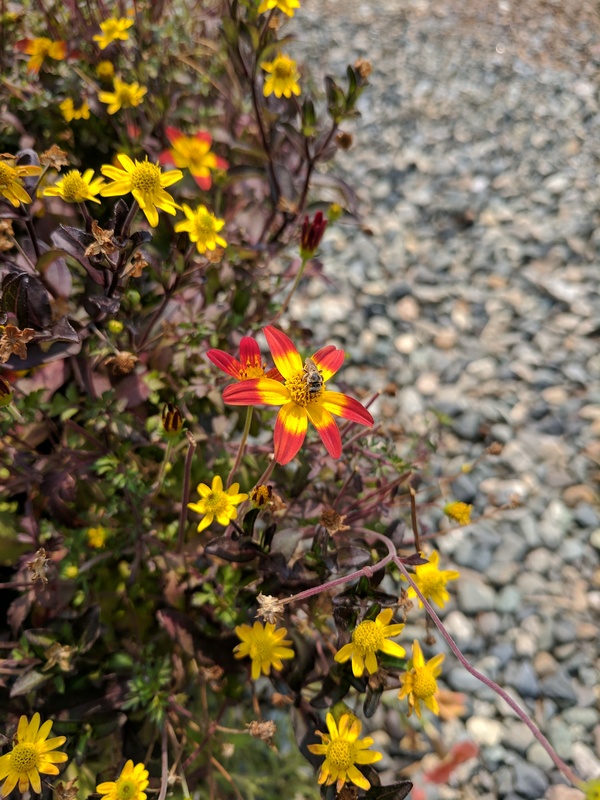 Show the world how you’re helping bees by registering your pollinator garden on the Million Pollinator Gardens Project and help reach their pollinator garden goal of 1 million world-wide (currently they have over 949,000 gardens registered). If you need more advise or supplies for creating a year-round bee habitat, visit your local garden centre and they will be happy to help you. You can find a list of garden centres on our interactive map! 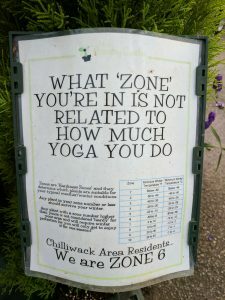 Thank you to the following garden centres for providing insights that were included in this article.